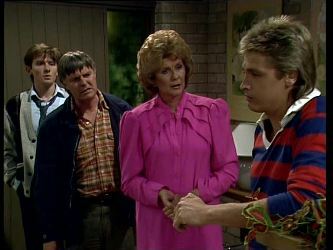 Daphne tells both Clive & Mike she refuses to chase after Shane as she is tired of his jealousy and suggests she employ Clive's ‘Gift of the Gab' to sort things out. Clive wisely refuses. Daphne stands by her decision to see who she wants whenever she wants despite Shane's resentment. Madge is not in a good mood at dinner and is critical of Danny's eating habits at the table. Danny questions what is wrong and Madge admits she is disappointed at being let down by Fred again. 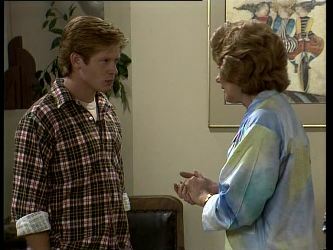 Danny reminds her that both he and Shane love her very much but Madge can only think of being homeless should Max return home with Maria from Brisbane now they've reconciled. They are interrupted by a knock on the door and Danny answers, shocked to see Tom Ramsay his uncle standing there. Madge however is immediately suspicious of her brothers arrival and questions what he is doing there. Tom explains he is on a four week holiday and decided to job swap with Max to allow him to stay in Brisbane with Maria longer. 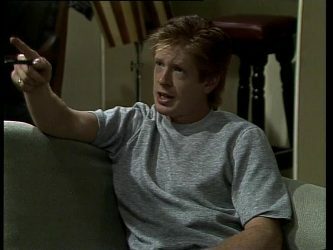 Shane bursts into the house still furious from the nights fall out with Daphne and hardly acknowledges his uncle as he spouts out how Daphne is poorly treating him. 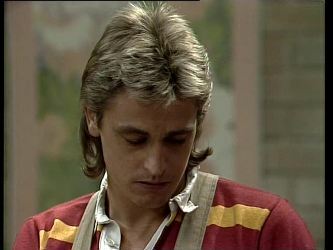 Tom incensed by what seems to be Daphne's treatment of Shane decides to pay her a visit and Danny inadvertently gives Tom her address. 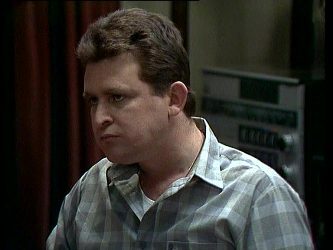 As Tom storms out, Madge is less than pleased at Danny. 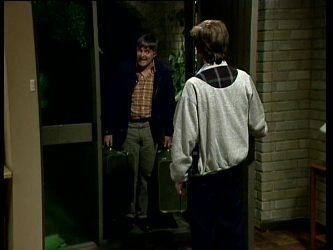 On being met by Daphne at the door Tom launches into attacking her and then seeing Des, him too about their treatment of Shane – Only then does Daphne learn Tom is Max's brother and promptly reminds him it is none of his business! After he leaves Daphne is outraged and wants to confront Shane – Des manages to calm her and advises to wait until tomorrow. Shane is furious at Tom's interference and is brought to tears. 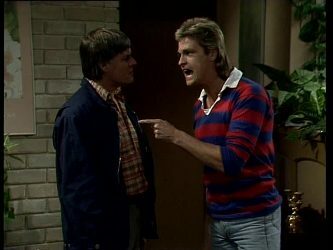 Shane accuses his uncle of being as interfering as his father and to stay out of his life! 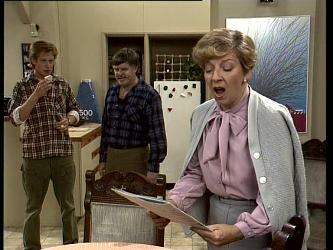 Later, alone with Clive in the lounge, Daphne begins to blame herself for Shane's reaction. Clive thinks Daphne should start to question her feelings for Shane – Is it love or is she still on the rebound from Des – or even just physically attracted to him. Daphne decides to go to bed as Mike returns from the Kitchen having left them alone. Mike wonders if she and Shane will get back together. At breakfast Daphne arrives to see Shane – Madge pulls Tom outside to allow some privacy. Shane apologises to Daphne for Tom's behaviour last night and surprises her when he suggests they take a break from the engagement. Daphne agrees and give Shane back her engagement ring. 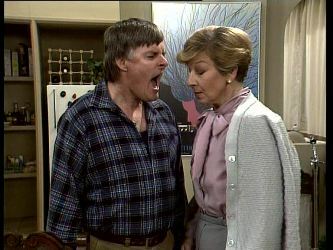 Clive is taking Eileen through her singing lesson when Tom interrupts telling them to ‘'Shut Up!''. Eileen retorts he is even ruder than Max ever was. 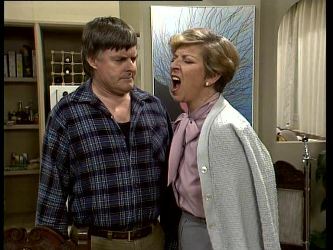 Incensed, Tom retorts Des is as bad as she is after ‘stealing' Daphne away from Shane.and storms out of the house – Eileen looks to Clive for some sort of explanation. 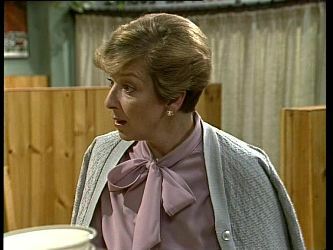 Daphne tells Mike her engagement is off but Mike is more worried about Nell Mangel handing out some leaflets outside the shop. Daphne decides to confront her. Outside Nell is handing out the leaflets when Daphne demands to know what she is up to! Nell innocently tells her she is only informing her customers of a better Coffee Shop experience elsewhere. Daphne orders Nell to move away and Nell leaves reluctantly. 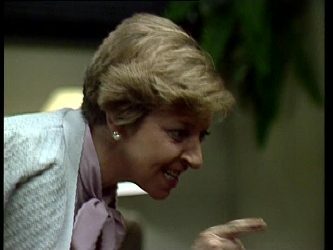 Madge is explaining to Clive he realises she needs to go back to work to support Charlene and pay for all the legal fees surrounding her separation from Fred, but she only has skills in typing and book keeping. Clive is thoughtful and explains he has a friend who may be able to help…. 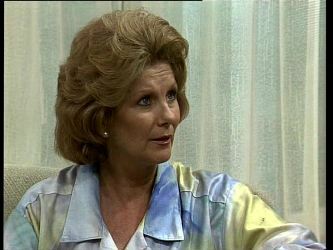 Eileen is in the shop pestering Daphne about how good it would be for her to now be with an older man like Des now she has split from Shane – Daphne keeps Mike working with her as an ally but then clearly states to Eileen she and Des will never get back together. Eileen vows she'll return to talk to her again on this. 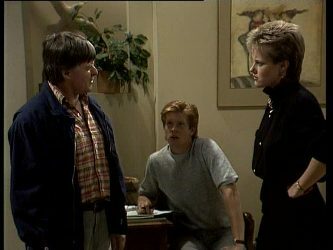 Later, that evening Clive is on the phone praising Madge's secretarial abilities to ensure she gets a job interview while Daphne listens to him. When he finishes the phone call, Daphne remarks she hopes Madge can live up to the image he's created of her at the interview. Eileen is pushing Des about taking the opportunity to ‘win' Daphne back - Des is interested to learn of the engagement being called off and Eileen exclaims she knows Des still loves Daphne but is only afraid to tell her the truth.